When your car is properly tuned, the ignition system, fuel system, emission system and computer system are all working together. This results in peak combustion chamber efficiency, saving you money at the gas pump and making sure your car is emitting a minimum amount of pollutants. Many people assume a tune up will solve a drivability problem. That’s not always the case. 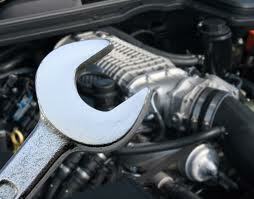 Our experts at Overdrive Auto we perform a tune up verification to confirm that your car will benefit from a tune up. Your problem may be unrelated to a tune up and may need an engine diagnosis. Call or visit us today and have your vehicle running as efficiently as possible!